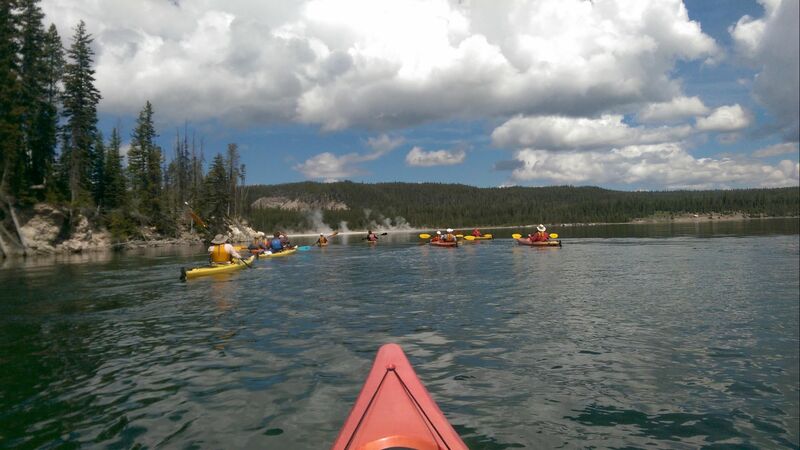 Follow our team members as they head out on Geyser Kayak Tour in Yellowstone National Park. 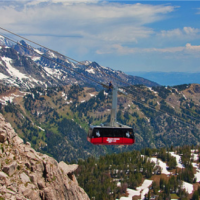 When you work with Jackson Hole Central Reservations, you’ll get on-the-ground expert advice about what to see and do in the area. Our team of friendly locals consists of active hikers, fly-fishers, rock-climbers and general outdoor lovers. But we also regularly try out activities that are new to us - so we can help visitors find the right mix of activities and experiences when they are in town. 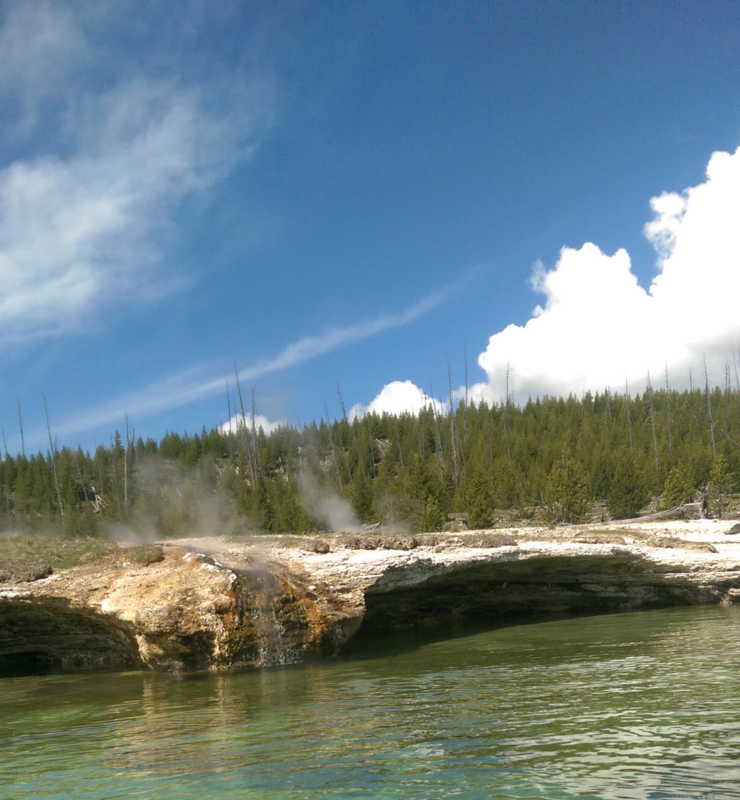 This summer, our team tried a half-day kayak tour through Yellowstone National Park. Read on to find out more about this fun summer adventure! Touring Yellowstone National Park by kayak is one of the best ways to experience the geysers and natural wonders of the park. 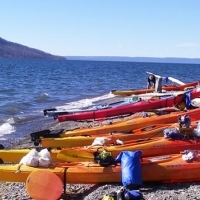 Our outing with Geyser Kayak Tours, started in the morning at Grant Village Marina on Yellowstone Lake. Away from the crowds and out on the water, we enjoyed a peaceful ride along the western shore of the lake for about two-and-half miles before we got to our first stop at West Thumb Geyser Basin. From a kayak, you get a completely different perspective of the area than you do when walking amongst the crowds on the boardwalks above. The geyser was other-worldly, with a mist rising out of the water in front of us. 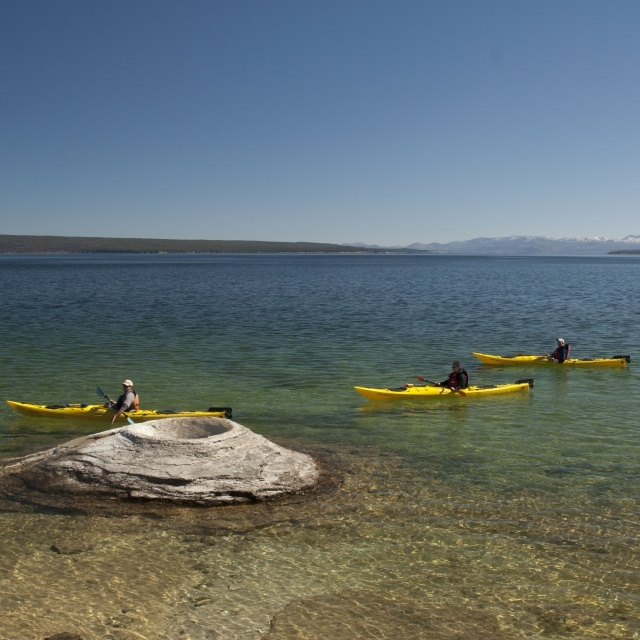 We turned away from West Thumb Geyser Basin and paddling along the shore in the crystal clear waters of Yellowstone Lake, we saw large lake trout swimming right underneath our kayaks! The fishing buffs in our group were very intrigued! 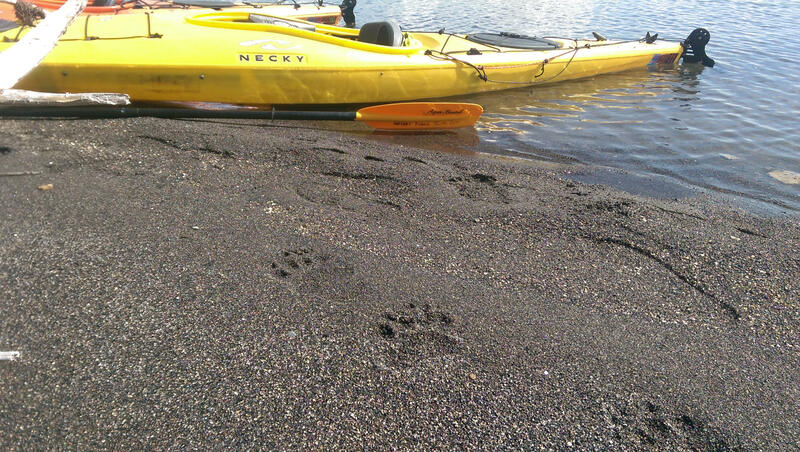 After about 45 minutes on the water we stopped at a secluded beach to stretch our legs and investigate some brown bear tracks we found on the sand. Then we launched out again from the shores toward the Potts Geyser Basin. As we kayaked, we passed underwater fumaroles, which emit hot water and can change the lake temperature from ice cold to the temperature of a hot tub. If you spend enough time in one spot, you can even heat up your kayak! 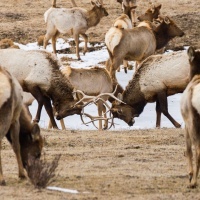 If you are interested in reading more about the geothermal activity in Yellowstone, then here is a great resource on that topic. Eventually we reached our destination, Potts Geyser Basin. It was incredible to see this geyser because it is completely isolated. There are no boardwalks or other people in the area. After taking in the geyser, we stopped again on the way back at that nice secluded beach and enjoyed a fantastic lunch from local Creekside Deli. Then we headed back to the marina where we started. In total, we spent about five and a half hours on the lake, the perfect amount of time for a half-day adventure in Jackson Hole! Geyser Kayak Tour provided all the necessary equipment and a nice introduction to paddling techniques and safety guidelines. We would definitely recommend this trip! To learn more about going on a kayak tour in Yellowstone, contact us at (888) 838-6606. 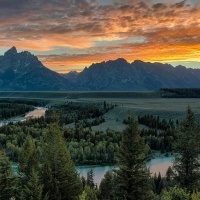 We can help you plan this and other activities, lodging, and even airfare for your Jackson Hole adventure!